A piece of the border wall separating Tijuana, Mexico, and San Diego, California. President Donald Trump’s border wall is poised to create a host of environmental and ecological problems. Part of its construction in southern California near San Diego has already involved the waiver of environmental laws. Now, a panel of federal circuit judges has blessed this move by the Trump administration, ruling in an ongoing court case that its decision to waive dozens of environmental laws was legal under the Illegal Immigration Reform and Immigrant Responsibility Act of 1996. 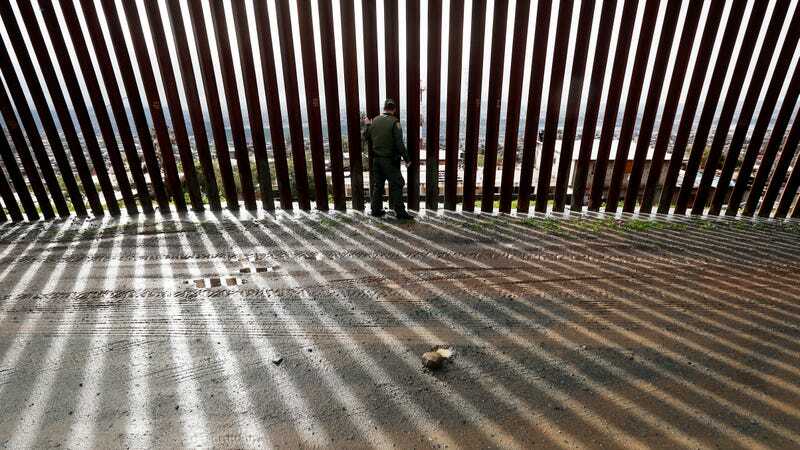 In 2017, the Trump administration began a number of projects related to the border wall between Mexico near San Diego, including replacing a 14-mile stretch of fencing and prototypes of the greater wall the president hopes to build, reports NPR. To hurry the development along, the Department of Homeland Security waived nearly 30 federal and state laws, including the National Environmental Policy Act and the Endangered Species Act. Environmental groups like the Center for Biological Diversity and Sierra Club, as well as the state of California, clapped back with a lawsuit—but the suit’s prospects aren’t looking good. This latest judicial decision regarded an appeal the plaintiffs filed back in April in response to an earlier court ruling, also in favor of the Trump administration. Plaintiffs are not sure yet about next steps, according to The Hill. They’ve already tried to take the case directly to the Supreme Court in December and were rejected. Here are some of the prototypes for this dumbass border wall. No matter what the law says, concerns over the potential impacts of a wall are legit. The Center for Biological Diversity found that 93 endangered and threatened species may be harmed during its construction along the U.S.-Mexico border. There’s also a butterfly sanctuary in Texas that stands directly in its path. While these environmental concerns merit attention, so does the fact that this wall is an attempt to keep out human beings who need asylum. And Trump’s obsession with the wall kept some 380,000 federal employees from work (and pay) during the government shutdown (and it may do so again). The Trump administration is doing all it can to push through this project, but opponents won’t go down easy.